In this article, Elisa and Yushu, Co-founders of Kint, speak to us about their backgrounds and how they were inspired to create Kint. The Kint Founders at SWSG2018 Post-event: The Reunion! What is your background and are you working on anything else besides Kint? It’s funny because both of us have very similar backgrounds. 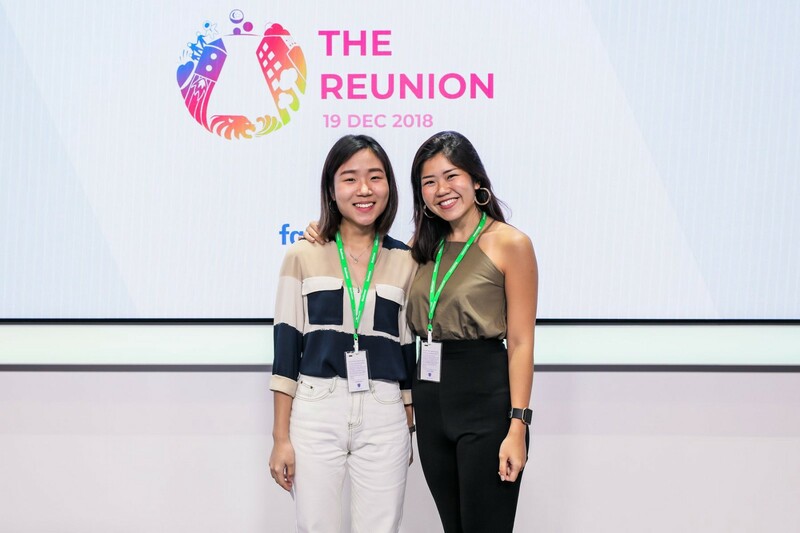 We first met in 2016 after joining the NUS Overseas College (New York) and then reunited in 2018 when we both got into the Google Digitize Academy where we were trained in programmatic marketing, before being placed in Shopee’s online marketing department. Right now we are both working full-time on Kint. Starting something of our own has always been a dream but it was always more of a “maybe when I’m older” kind of thing. Definitely did not know that we would be doing this at 24. What motivated you to create Kint? While working, we realised that there was a lot of pressure to constantly be seen wearing different outfits just because it was the societal norm. Many of our female colleagues and friends around us also faced the same issue and were constantly buying and throwing their clothes away after just wearing them a few times. After doing our research, we found out that the textile industry was one of the top contributors of carbon gas emissions worldwide. At that point, we started to look into sustainable options to shop for clothes in Singapore and realised that the current solutions were either too pricey or didn’t provide the convenience that we’re all used to and so many of them were still shopping at fast fashion brands. That was when we knew that something had to be done. For eco-conscious consumers in Singapore who lack a convenient trustworthy and appealing way to shop for outfits, we curate, rebrand and deliver second-hand clothes for them to shop sustainably for high quality yet affordably priced clothing online. We hope that one day, shopping for second-hand clothes will be as intuitive as shopping for brand-new clothing. That is why we place a lot of emphasis on branding and providing convenience to our consumers, in order to recreate that first-hand experience you get when you shop for brand new clothing today. What went into building your initial product? This is the first time the both of us are running a business entirely by ourselves but because of our experience working with startups, we knew for sure that we wanted to build a product that would resonate very strongly with our consumers. So with this in mind, we made sure to speak to many potential users around us and find out more about their pain points. We also did a lot of research on the current second-hand clothes options available in Singapore today. Then, we actually first launched on Instagram by posting photos of our curated outfits and then gathering more feedback in several critical areas like the price point and selection of clothing. We then built our website after we had a pretty good gauge of what our consumers want. How has your journey in the programme been so far? Being in The Start has been really helpful for Kint! At first, we were sold by how well planned out The Start was and all the opportunities it promised to provide, and also, Elisa had an amazing participant experience at Startup Weekend Singapore 2017 so we knew that this would be a great programme to be in — which led to us signing up for it. This 12-week long programme is packed with mentoring and networking sessions that really allow us to get essential feedback from experts in various fields. Also, because of how fast-paced The Start is, it really pushes us to work harder and push out new collections as soon as possible in order to produce results. What are some of your goals for the future? To be the Love, Bonito of second-hand clothes! This means that we would have a thriving community that really loves what we are doing and to also be the go-to when people are thinking of shopping more sustainably for clothing. Where can we go to learn more about you and your business? You can check our website out at www.thekintstory.com, as well as our Instagram @thekintstory. Please feel free to hit us up if you’re interested to find out more! StartupX is an innovation company that runs The Start, a 12-week pre-accelerator programme kickstarted in partnership with Temasek. StartupX is an innovation company passionate about growing the early-stage tech and startup ecosystem.